The Marlow Mirror features a large oversized rectangular frame fashioned from wood. It is adorned with small square mirrors surrounding the frame. 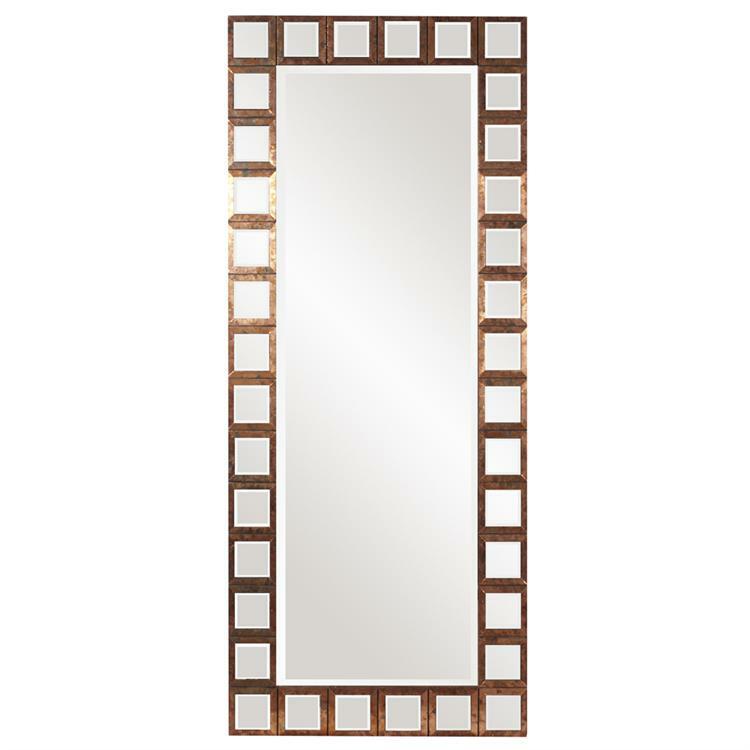 Each mirrored square is outlined in an acid treated copper metal trim. Each mirrored piece is beveled, adding to it style and beauty. Make any room instantly larger by adding the Marlow Mirror. Its grandiose size makes it the perfect focal point for any design. It also comes with special mounting hardware to secure it to the wall when leaning against the wall. Customizable for larger orders.